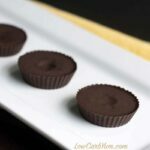 Have your sweets without guilt with the best low carb peanut butter fudge made with cream cheese. It’s sugar free and just 1.5g carbs a square! 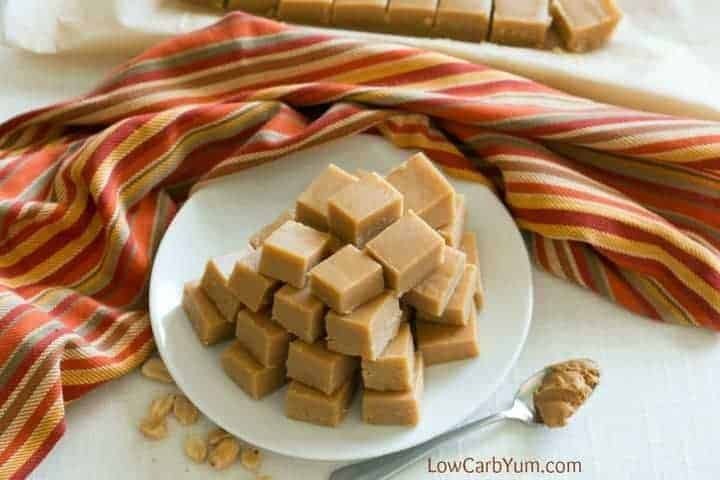 I posted a peanut butter fudge recipe on the Low Carb Yum Facebook page last week that was a big disappointment. The blogger had removed the full recipe as it’s now in her cookbook. She did leave the ingredient list so you might be able to figure it out. However, why risk it? I’m not a fan of charging for my recipes. One day, when I have the time, I may take some time to develop recipes for a cookbook. But, I would never remove any of my recipes published online. If I start selling cookbooks, I’d have to come up with modified or brand new recipes. Since I currently don’t have a product that I sell, my only revenue from the blog comes from advertisements and affiliate links. 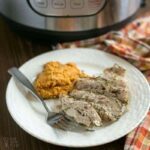 The ads on this site make all my recipes free. 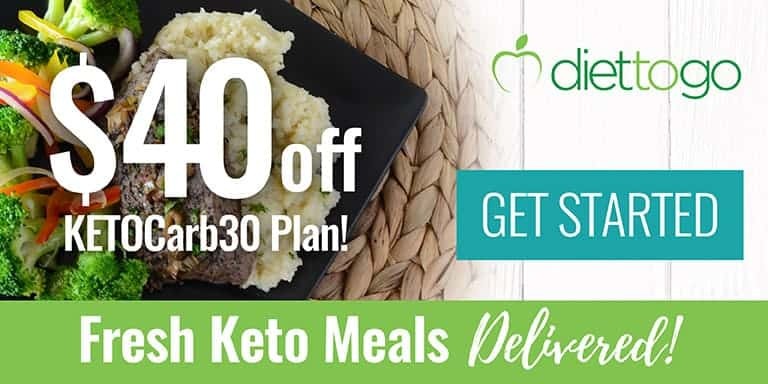 So, don’t knock them unless you’d rather pay for access to the low carb recipes. The affiliate links on the site are less obnoxious and I only get a small payment if a purchase is made. It costs the same either way, but online retailers do like to reward those that bring them customers. 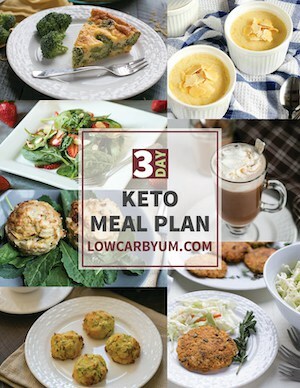 I appreciate everyone who does buy from sites like Amazon and Keto Krate using my links. It keeps the free recipes coming! There is a ton of work that goes on to keep a blog going. 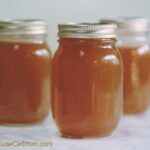 I don’t have a lot of time to experiment with recipes as I have a full-time job and a small child at home. 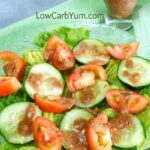 The Low Carb Yum blog has grown much larger than I ever expected. One day soon, I may actually reach my goal and afford to leave my engineering job so I can be my own boss. Isn’t that everyone’s dream? 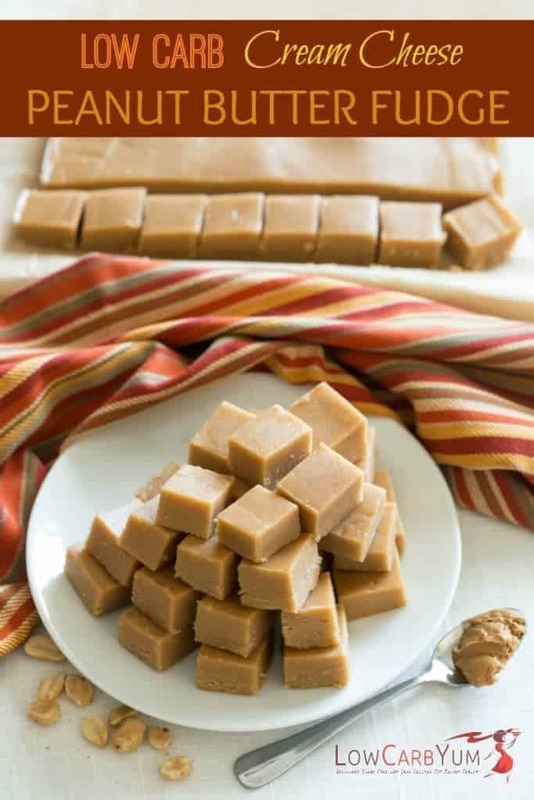 I felt bad that I posted a bait and switch recipe that had a beautiful picture of peanut butter fudge but left you hanging to buy the cookbook if you wanted all the details. 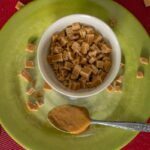 So, I came up with the best low carb peanut butter fudge recipe ever to share. 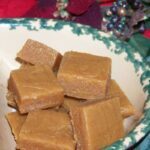 It’s a bit different than the other peanut butter fudge recipes I have at this link and this one. 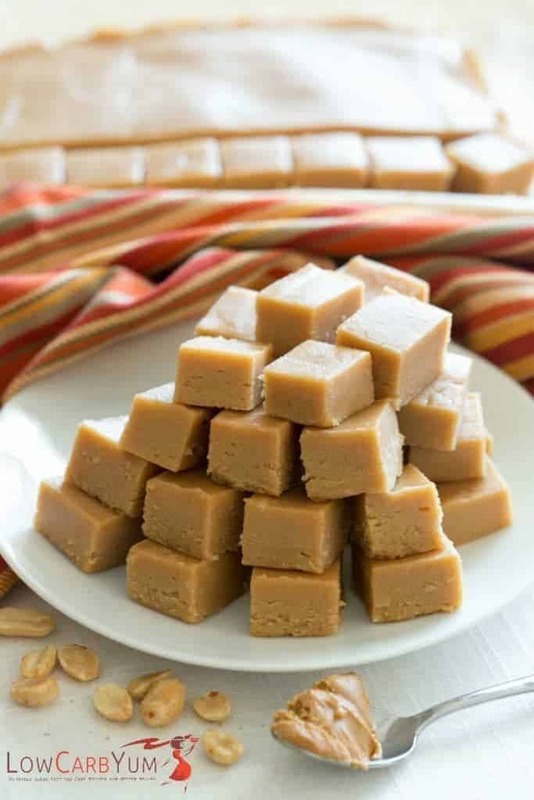 The posted peanut butter fudge recipe used ricotta cheese. I didn’t have any in the refrigerator, so mine is made with cream cheese. Other than peanut butter, the ricotta cheese is the only other ingredient I remember. I’m very impressed with how this fudge turned out. 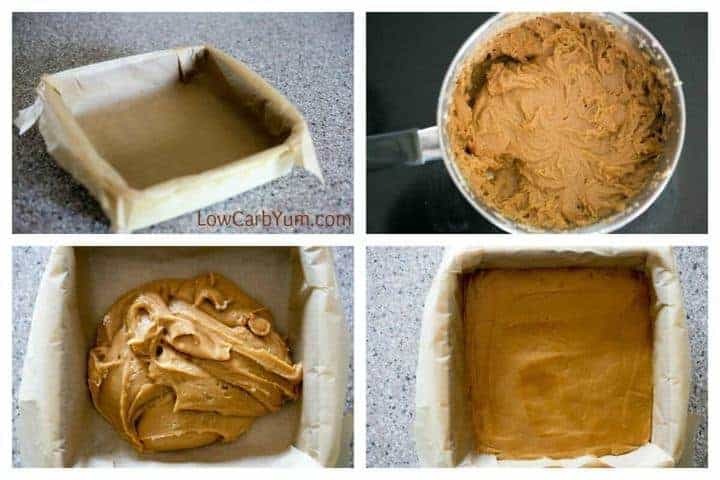 That’s why I’m calling it the best low carb peanut butter fudge recipe. You can easily pass it off to your friends and family as the real thing. In fact, I got caught eating some for breakfast at work. I have no idea how good the peanut butter fudge was in the link I posted on the Facebook page. 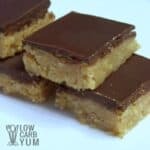 But, I can assure you that this is the best low carb peanut butter fudge recipe I’ve made. This fudge is everything that fudge should be. It’s high fat, sweet, creamy and just melts in your mouth. 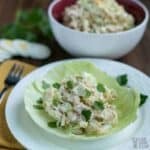 You will need to keep it chilled as it does have cream cheese in it and gets soft at room temperature. 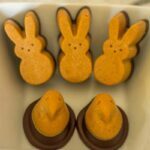 You might want to hide these little bites of peanut butter heaven in the back of the fridge. Putting them out front in the open could be dangerous. When the fudge is in sight, you’ll want to grab a piece every time you open the refrigerator door. Believe me. It’s hard to resist! 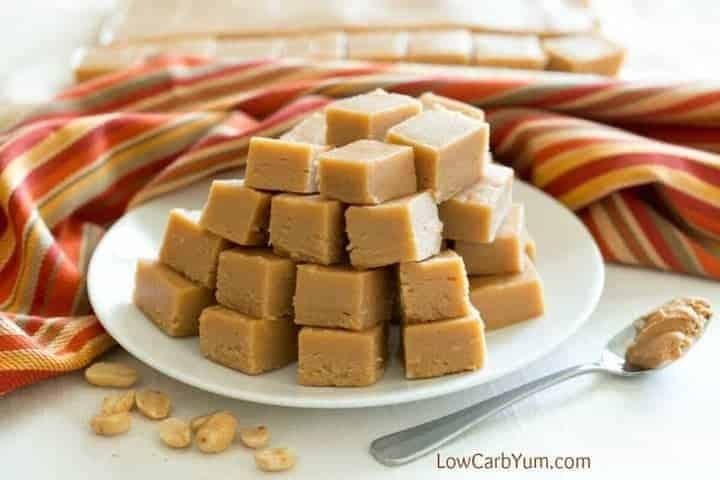 If you don’t have a peanut allergy and enjoy peanut butter, you must make this fudge! 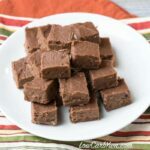 If you have a nut allergy, you should be able to make this delicious best low carb peanut butter fudge recipe using a seed butter like SunButter sunflower butter. So go ahead and whip up a batch if you’ve got all the ingredients on hand. You won’t regret it! 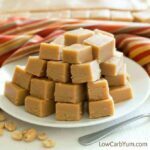 Have your sweets without guilt with this low carb cream cheese peanut butter fudge. No sugar added and just 1.5g carbs a square! Line a 9x9 square pan with parchment paper or grease lightly. In saucepan over medium heat, melt cream cheese and butter together. Add peanut butter and stir until smooth. Remove from heat and add remaining ingredients. 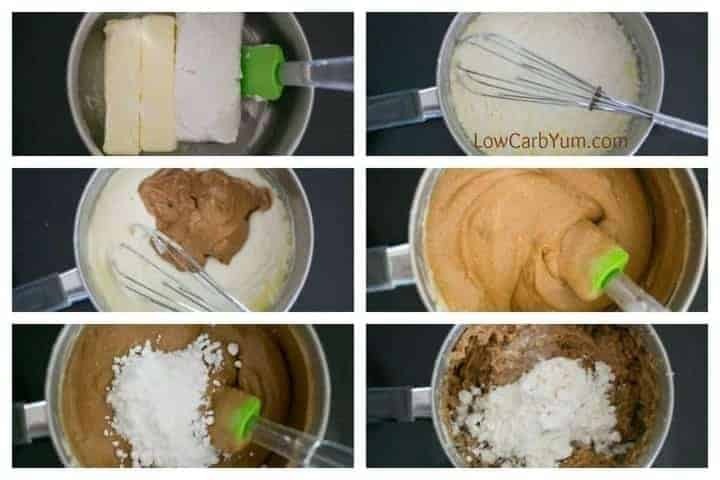 Blend with electric mixer until well combined. If you have trouble getting the mixture to blend, let it cool down a bit and try blending it again. Pour fudge into prepared pan and spread out evenly. Chill in refrigerator until set. For extra peanut taste, the whey protein can be replaced with peanut flour.